The articles in this column are translated media articles from various Ukrainian sources. Often, these are based on press statements from the Ministry of Interior (MoI) or State Border Guard Service of Ukraine (SBGS). They are mere translations and published here for the purpose of documenting developments in Ukraine. Thus, the articles neither reflect the opinion of the Border Monitoring Project Ukraine nor does the BMP approve the statements made in these articles. This entry was posted in Project News on November 10, 2009 by marc. 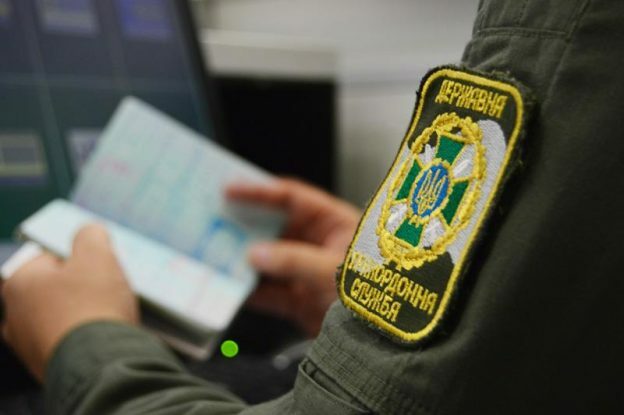 Citizen of Iran using for her trip two packets of documents, one of which was partially forged, was revealed by the border guards of the Separate check point “Kyiv”. The woman arrived by the plane from Istanbul and correspondingly to the ticket possessed she had to arrive to Erevan. However, she checked in for the fly to Stockholm, where she intended to use another packet of documents. So, having Swedish ticket the traveler provided her passport of the citizen of Great Britain. Namely in this document the border guards found a partial forgery – replacement of the information page. During interview the border guards established that the woman bought the forgery in Istanbul for 600 euro. In addition, the border guards revealed a citizen of Nigeria during verification of the passengers arrived from Turkey, who provided his document for control not belonging to him. In the course of the interview the border guards of Kharkiv Detachment established that the offender lost his passport and still wished to get to Ukraine, so he borrowed this document from his friend, also he citizen of Nigeria. So far, the citizen of Iran is made responsible in administrative order and banned to enter Ukraine for a period of three years. The citizen of Nigeria is sent back home by the back flight. This entry was posted in Translated Media-News from Ukraine on April 15, 2019 by oksana. These citizens are acting employees of the Internal Affairs Authorities of the Russian Federation, who are persecuted in Russia for their principled position on combating crime. The reason that prompted them to seek political asylum in Ukraine was the concealment from prosecution in connection with their official activities. According to the citizens of Russia, they were the victims of persecution of influential persons because they tried to counter the spread of drugs in pharmacies in the area of their responsibility. The Russians explain that the persons who came to their attention as police officers of the Russian Federation, is a stable criminal groups involved in the distribution of drugs, with a clear and extensive system of relations among the officials of different levels in the power structures of the Russian Federation. Currently, the facts against them are fabricated and the order is under investigation by the Investigative Committee. Not hoping for a fair investigation in connection with the order “from above” they decided to escape from Russia to Ukraine. The Russians also noted, the friends told them that there was a real threat to their freedom, health and even life. Appropriate verification measures are taken to ensure the objectivity of the information provided. This entry was posted in Translated Media-News from Ukraine on April 11, 2019 by oksana. As part of the operation “Migrant”, a joint interdepartmental group consisting of the border guards of the Azov-Black Sea Regional Office, the representatives of the State Migration Service and National Police in Kherson region carried out activities to identify the illegal migrants. 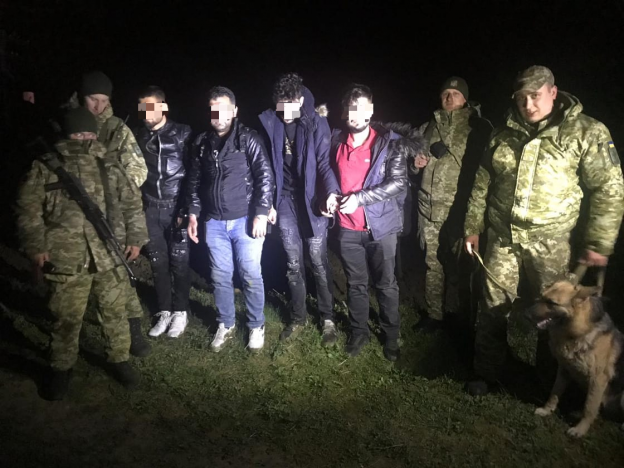 As a result, during the operation in the Chaplin district of Kherson region, the law enforcement officers found nine people, who excessed the period of their stay in Ukraine. Among them there were six citizens of the Russian Federation, as well as one citizen from Tajikistan, Moldova and a stateless person. The Protocol was drawn up as to all foreigners and a fine in the amount of 1700 hryvnias was imposed. Three citizens of Ukraine, who provided housing to the above-mentioned persons, were also brought to administrative responsibility under Article 205 of the Administrative Code. Later on, the joint group found four more foreigners, two citizens of the Russian Federation and citizens of Belarus and Moldova, who significantly exceeded the period of their stay in Ukraine. These persons have been ordered to be forcibly returned to their countries of origin. This entry was posted in Translated Media-News from Ukraine on April 6, 2019 by oksana. Information about unknown persons, who were moving towards the Ukrainian-Polish border, was provided to the border guards. Thus, in one case, the border patrol detained a citizen of Kyrgyzstan, and later two citizens of Armenia – a woman and a man. The foreigners intended to get to Poland in an illegal way, and therefore were prosecuted for their attempt to cross illegally the border. The further destiny of the strangers will be decided by the court. The border guards of Mukachevo Detachment apprehended four illegal migrants nearby the border on Hungary. Information about the unknown persons of Asian appearance stay in the border area was provided by the local resident. The officers of the BU “Kosyno” arranged the searches immediately and as a result, three undocumented men and woman were detained. The detainees reported that they were the citizens of Vietnam and in search of a better life they intended to get to one of the EU countries. Currently, the foreigners are in the Temporary Detention Centre. The protocols were prepared for attempt to violate the state border, the case was forwarded to the court. This entry was posted in Translated Media-News from Ukraine on April 4, 2019 by oksana. 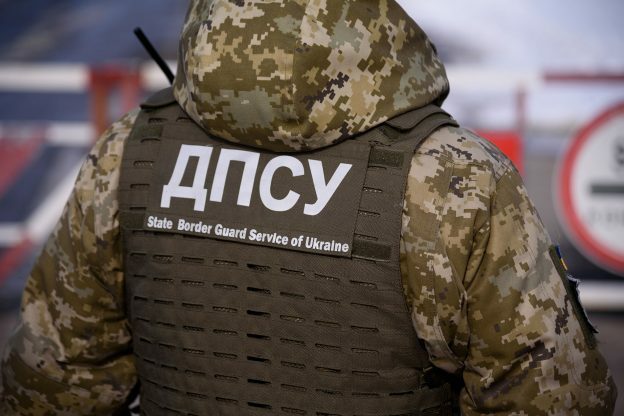 The border guards of Chop Detachment detained a foreigner attempting to get to Ukraine beyond the check points. The border patrol from the BU “Velykyi Bereznyi” noticed the stranger on his way through the forest towards the village of Stuzhytsya. The detainee provided an identification card of the citizen of Hungary. The man was taken to the BU “Stuzhytsya” in order to clarify all the circumstances of the offense. During verification activities a hidden passport of the citizen of Hungary was found among the detainee’s stuff. 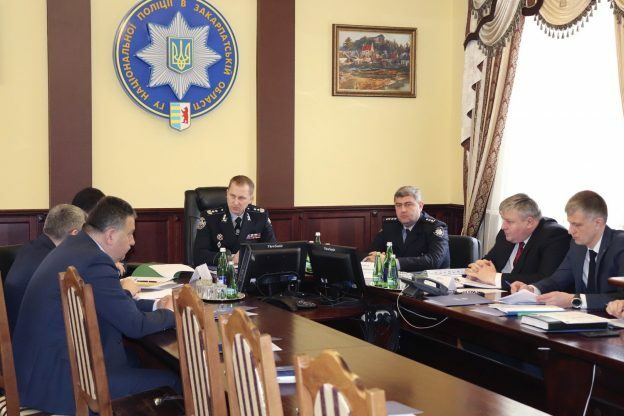 It appeared that the document contained the marks of the State Border Guard Service as for a ban to enter the territory of Ukraine for a period of three years. As law enforcement authorities established, it was made in connection with the legislation violation by the Hungaryian during the previous stay in Ukraine. Accoding to the detainee’s words it was learned that he aimed to get to Kyiv, where, as if, his girlfriend stays. After carrying out the corresponding procedural actions the offender was placed into the Temporary Detention Centre of the Chop Border Detachment. . The term of his ban on entry to Ukraine will be extended to five years. This entry was posted in Translated Media-News from Ukraine on April 1, 2019 by oksana. 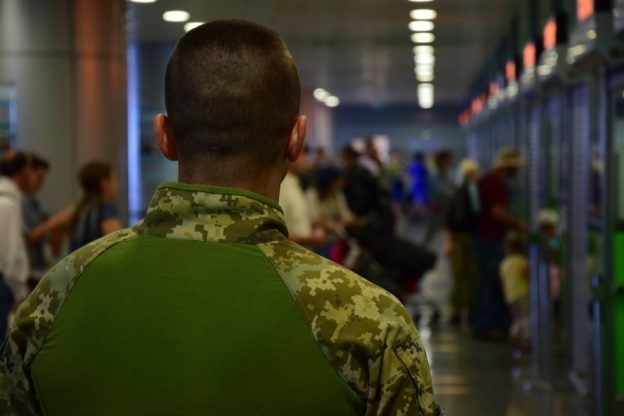 The law enforcers of the Mostysk Border Detachment detained two Iraqis who were walking at night making their way through the Ukrainian-Polish border. 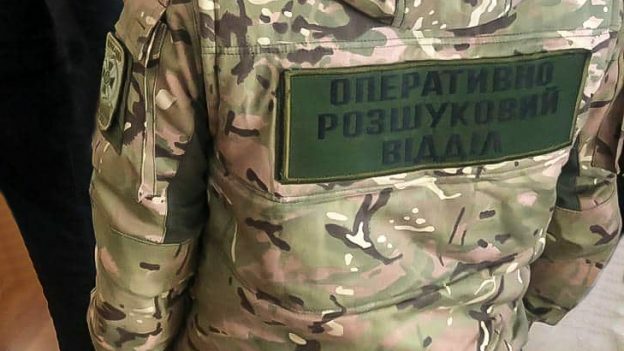 The border guards of the BU “Smilnytsya” received an advance information from the colleagues of the Operational-Investigative Units on any possible breach of the border. Thus, at the direction of the probable movement of offenders, the border guards put up border details. As a result of the measures made, the law enforcers detained two men at the border, who were traveling in the direction of Poland bypassing the checkpoints. As it became known later, the detainees were the citizens of Iraq, born in 1994 and 1999. They arrived to Ukraine legally by the plane in the end of last year. Currently, measures are taken to establish all circumstances of the case. For the attempt of illegal crossing of the state border of Ukraine, committed by a group of persons, the foreigners will stand trial. 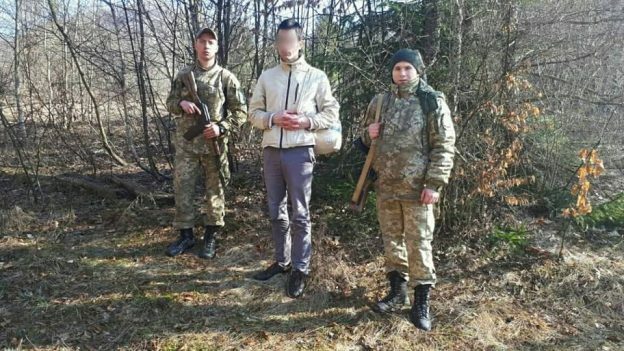 And the border guards Bilhorod-Dniester Detachment, according to the information provided by the representatives of the Investigative Unit of the Southern Regional Department of the SBGS, detained two undocumented citizens vice in the area of the BU “Stepanivka”, who illegally crossed the border from the neighbouring Moldova to Ukraine. The young people of age 18 and 19 having no documents required for a legal border crossing decided to get to the territory of Ukraine in an illegal way. The residents of Moldova hoped that the border guards would not see them and at night they realized their plan. Both violators were detained near the border and taken to the border unit for identification and bringing to justice. This entry was posted in Translated Media-News from Ukraine on March 30, 2019 by oksana.